Who has two thumbs and just ran around Jamaica Pond for the first time ever? 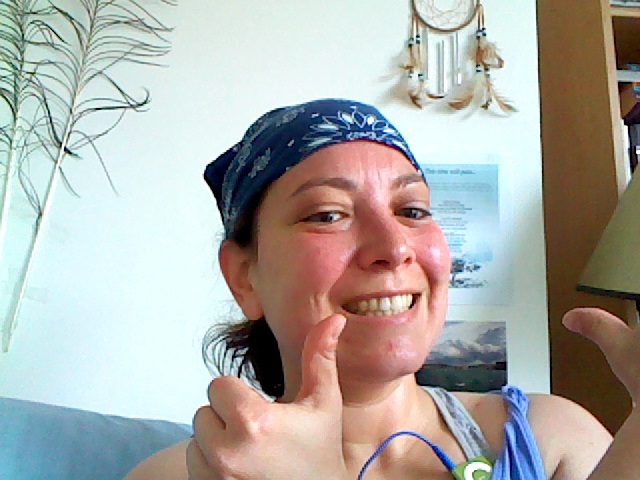 Who fought her way through a migrainey, med-hangovery miasma and not an insignificant amount of depression, discouragement, sadness, and even despair to get outside and run today? That’s right, it’s the aforementioned two-thumbed girl. And who has fought her way through all that crap to go to the gym 100+ times since September, and run 64 miles since February? That’s right, it’s the girl above taking her picture with her elbow! I think I am very brave. ← What a beautiful day! We’re not scared.